Congratulations on getting your trial started for EVA! The purpose of this article is to help you get set up. We've broken this article into 8 sections, that give instructions on how to set up your EVA terminal. The first thing that you will need is some hardware! A sleek compact solution that doesn't take up too much space and looks amazing in all settings. A bulkier solution but elegant and eye catching. Just what you need to draw your visitor to sign in without directing them. Whichever you try we have no doubt they will assist in making your reception space look elegant and professional. If you don't have your label printer and scanner yet, you can purchase them from your local electronics supplier or alternatively you can find them here. Please note the label printer is not a requirement for running EVA, however your visitors being asked to wear name badges is definitely a contribution to the overall security of your business environment. Most label printers are plug-and-play and will install any required drivers to run when they are first plugged into the computer. If this is not the case, the label printer is often provided with a disk with the Printer installer included. Failing that you can get the installer from the providers website. Make sure the label printer is set as your default printer. Once the printer is installed and plugged in, we now need EVA to talk to your printer. To do that you will need the Quick Print client. Extract and run this once it has been downloaded. On the new icon in the bottom right tray of your screen, right click it and select “Add to Startup Folder” so it comes on automatically when the computer is restarted. Once this is set up, on every sign in EVA will send a print job to your default printer, which will print your visitor a label. The Barcode scanner is much simpler to setup. Just plug it in and it will start working. 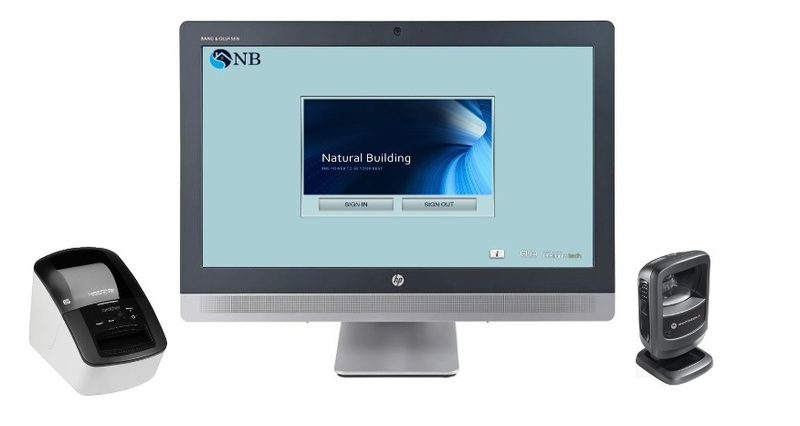 Visitors can now scan their printed label to sign out or sign in again later. No doubt you want your Visitor Management System to look like YOUR Visitor Management System. As much as we love our customers waving our flag around, you need your reception space to feel like your own. To edit the theme of your EVA system log in to your admin console https://my.evareceptionist.com and click on Site Information > Themes on the left navigation panel. Click on "Choose file" under "Company Logo", select your logo file and click "Upload". Click on "Choose file" under "Printer Label Logo", select your logo file and click "Upload". Click on "Choose file" under "Welcome Video", select your logo file and click "Upload". A popular method is using an online software called "Animoto": https://animoto.com/ that pretty much does this for you. Here you can change the main look and feel of EVA in your reception area. The scheme will change the layout and feel of your sign in screen. If you would like to further customise this you can select "Custom" from the Scheme Dropdown. From here you can adjust the colour with the slider on the right and adjust the opacity with the slider on the bottom. Remember to click done when you are finished, or cancel if you don't want the new colour. 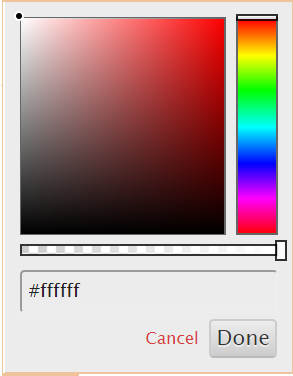 Here you can change the colour theme of the pop up windows such as the Health and Safety message and your welcome message. There is also an example window that will show you how it will look after you have made the changes. Don't forget to hit save if you are happy with the changes. You may have already edited the Health and Safety message when signing up for EVA. 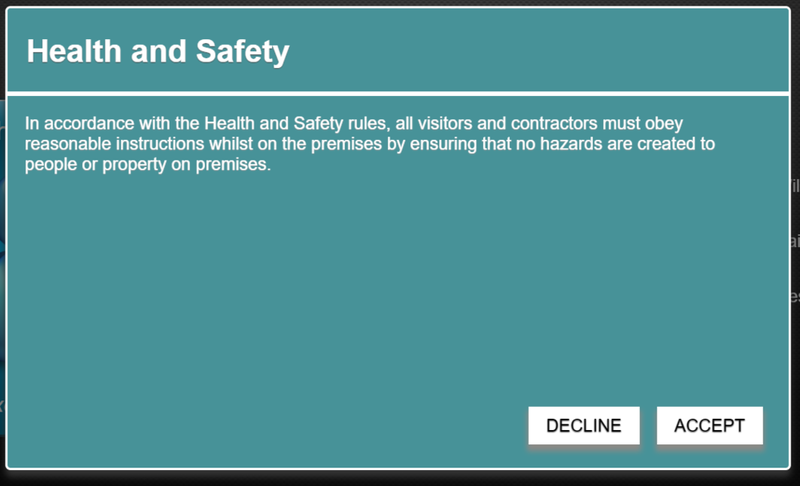 Under the Captions Tab you can edit the Health and Safety message to be specific to your company. Dont forget to save these changes. Upon signing up for EVA, there's an option to add employees. However this can be time consuming. 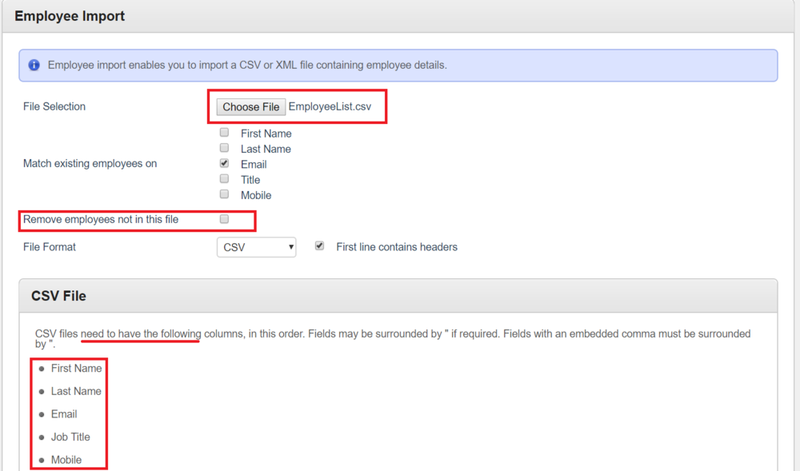 There are two additional options for adding your employee list into EVA. You will be prompted to upload the employee file. This file can be of CSV or XML format. Note* If you select CSV, you will be be given a CSV template. If XML is selected, an XML template is provided. You can choose whether to remove the users that are existing, or keep them. Please ensure that your file meets the requirements. Active Directory Synchronization allows you to synchronize your employees found in your Local Active Directory database with EVA. Adding users allows them to log in to the EVA admin console, and make changes to things in the background. You now can add user details, selecting the users' level of access, roles and which terminal they are responsible for (if you have more than one). Nominated user should now be able to log in to the EVA admin console and make changes. Scroll down to Site Manager Notification Settings and populate fields. Select "Notify after time" is the time that the site manager is notified if a person is still on site. In our example above, the site manager is notified when visitors are still on site after 2pm. Currently there are two ways SMS notifications can be set up. EVA has its own built in SMS service, alternatively you can use another SMS provider. 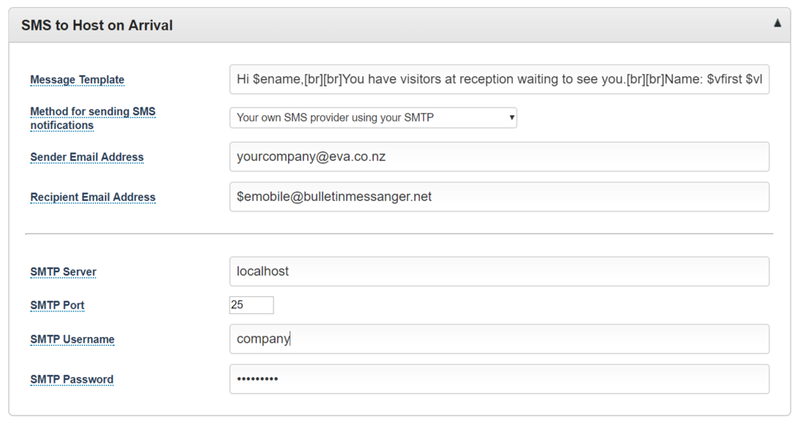 Select whether you would like to use EVA built in SMS or your own SMS providing using your SMTP. If you are using EVA built in SMS you can purchase SMS messages for $130NZD. These can be used across all sites. This add on will appear on your next invoice. Dont forget to save changes. You will need the obtain Sender Email Address and SMTP Information from the third party provider. Dont forget to click Save before navigating away from this page. First, we need to obtain your Terminal ID and Token. When signing up for EVA you should have recieved an email with your terminal ID and Token. Enter ID and Authentication Token. You guests can now start signing in to your EVA terminal! The visitor signing in enters their details: First Name, Last Name, Title etc, and then clicks Next. Select the Employee you are wishing to visit from the carousel. Your guests will then be prompted to accept the Health and Safety Policy- Note: You need to define what happens if a person declines the Health and Safety message. After accepting Health and Safety, a label should print with your details and you should receive the following Welcome Message. 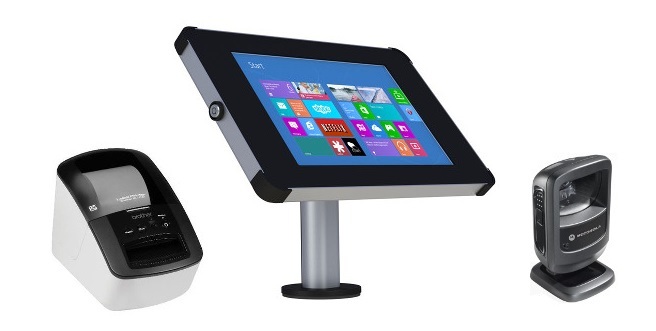 Your guests can now start signing in using your new EVA terminal! Do you have board members coming in for a meeting? You may not want them to have to sign in... again. You can prepare their sign-in and even print them off a label in advance! Here you can add multiple visitors for the same host at once. Just click on the employee field and start typing. EVA will make suggestions to you as you type based on your Employee list. You can set what time they are all visiting and departing by clicking on the fields and sliding the bar until you get the preferred time. 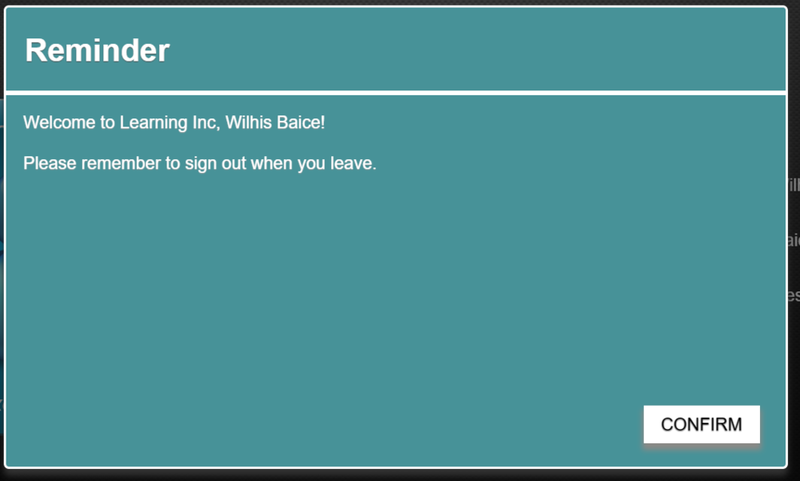 The message on arrival field is a message that will show up to the visitors during the sign-in process in case you need to give specific instructions relevant to them. To add a visitor you have two options. You can enter their details manually or you can search for a visitor that has visited in the past. If you run out of space to add visitors, you can click on "Add Visitor" to add another field. Don't forget to click save when you are done. Once a visitor is pre-registered, when they go to sign in, it will pick up who they are visiting without them having to select a host and will sign them straight in. Click on the checkbox of the visitor you want to print a label for. Get your visitor to scan their label instead of signing in. For a more detailed explanation of pre-registration you can go here: https://www.evareceptionist.com/documentation/preregistration. This is primarily used if you are expecting a large number of visitors for a specific event that require related instruction and you don't want to notify the host. Go to Visitors > Events and click on "Add Event"
Here you can enter the name of your event, the employee hosting the event and a description. When you click on the Sign In Start/End date fields you will be presented with a calendar to select the relevant dates. For Message on Arrival, this will show a directed message to attendees of this event. You can also designate whether you want the host to be notified with each sign in to this event. You can see more detailed information about Event Management here: https://www.evareceptionist.com/documentation/event-management.